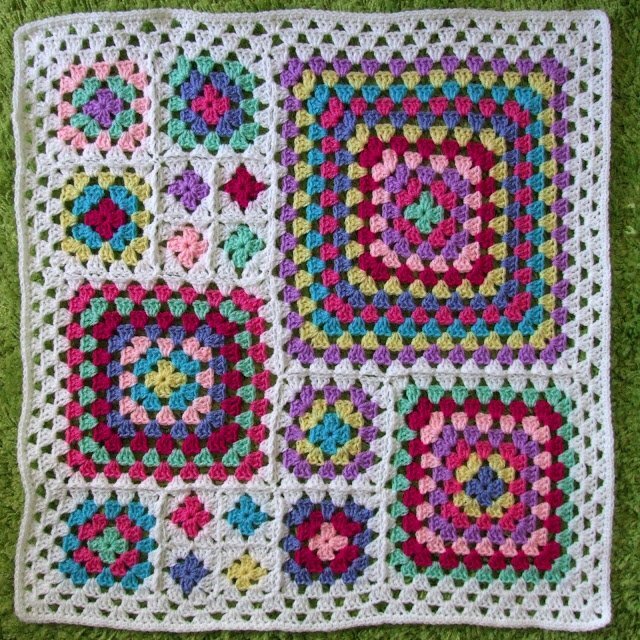 A new baby blanket made from different sized granny squares – finished!!! 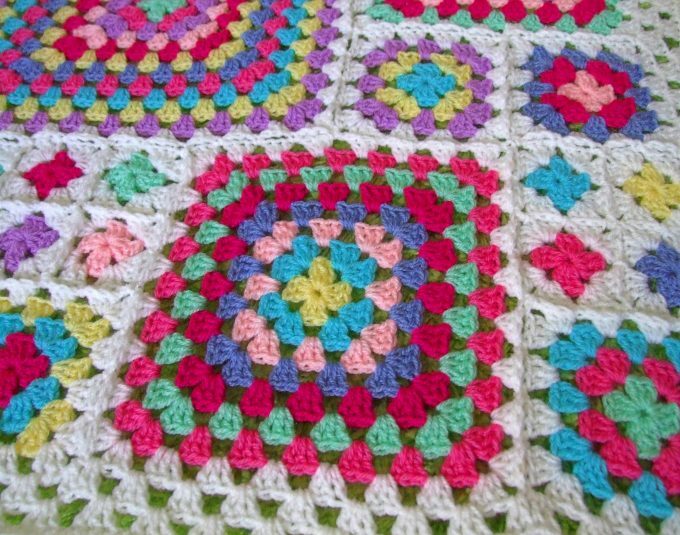 I’ve been busy making lots of granny squares this week. 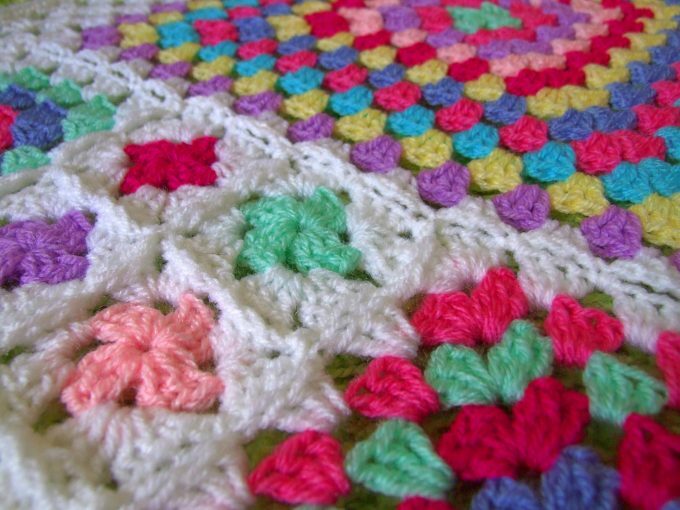 I’m working on a king size granny blanket for commission but managed to squeeze in this cute little baby blanket. 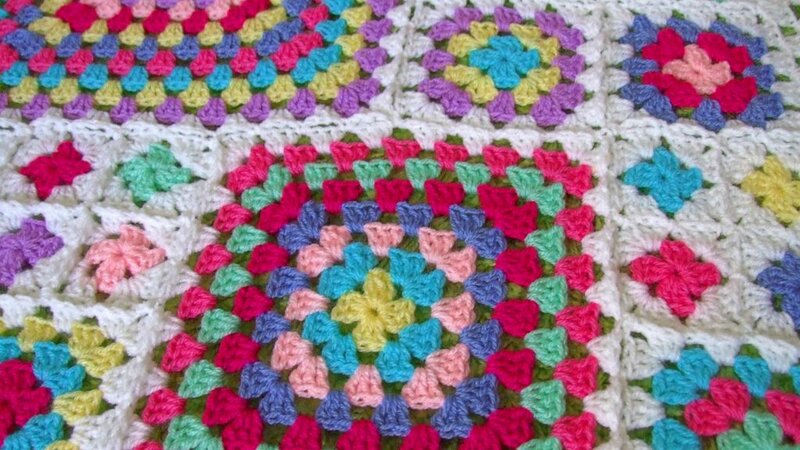 The colours are bright and cheerful and the finished blanket is the perfect size for a pram blanket or for a moses basket. I used a join-as-you-go method which makes the whole blanket feel a bit lacier and lighter. I’m working on a new pattern for a granny square throw using big, medium and small squares – just like the baby blanket above. How fun! This would keep my attention long enough to actually finish it. Blankets are hard for me sometimes because I get sooooo bored doing the same thing over and over and over again. 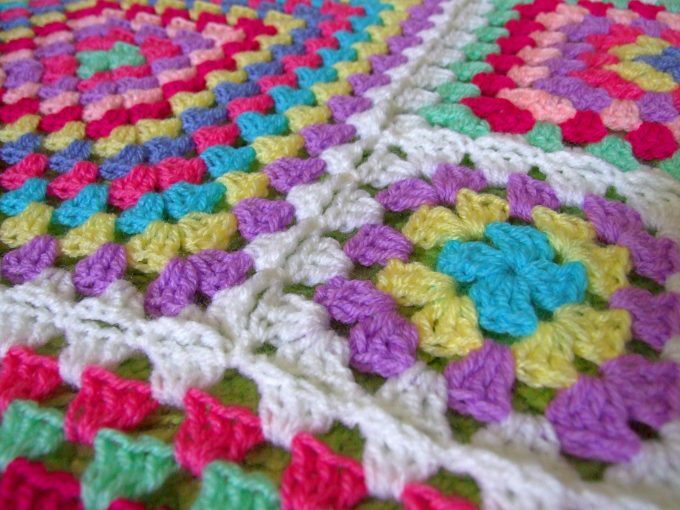 Love this little blanket, the cololours emind me of summer and ice cream! Just lovely! I'm a new follower, btw!